Now available in very limited quantities, Nantucket Bangles are resin reproductions of the scrimshaw fossilized mammoth ivory originals that i launched at Barneys New York and Bergdorf Goodman. 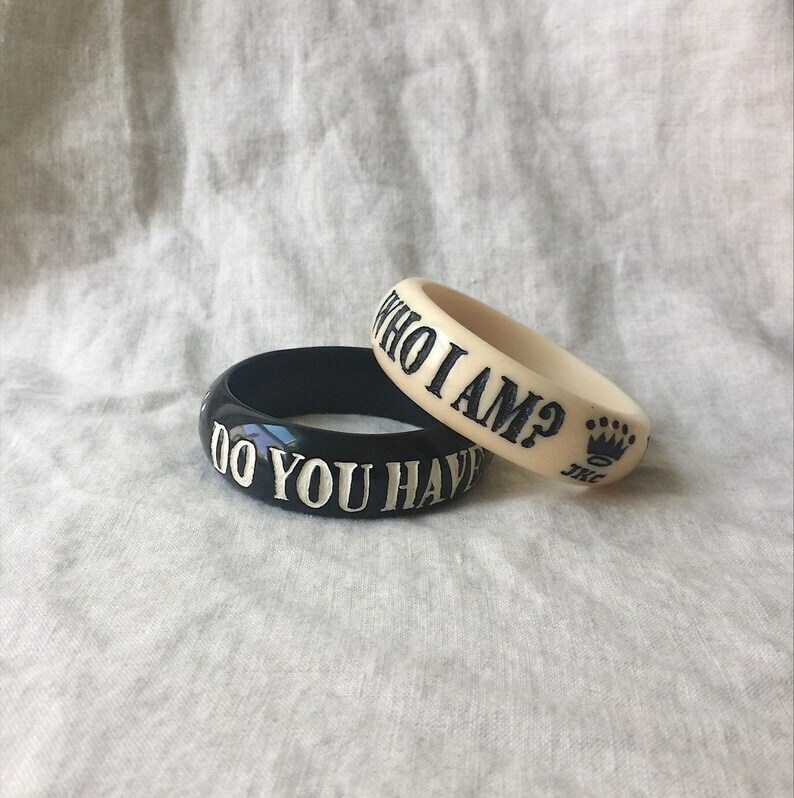 “Do you have any idea who I am?” is available in black with ivory writing and ivory with black writing. This bangle measures 7/8” wide and they all measure approximately 2 1/2” across the inside.